The Voting Rights Act Amendment of 2014 would protect voter ID laws. The New Voting Rights Act Fix Would Protect Voter ID Laws, So Should Liberals Hate It? 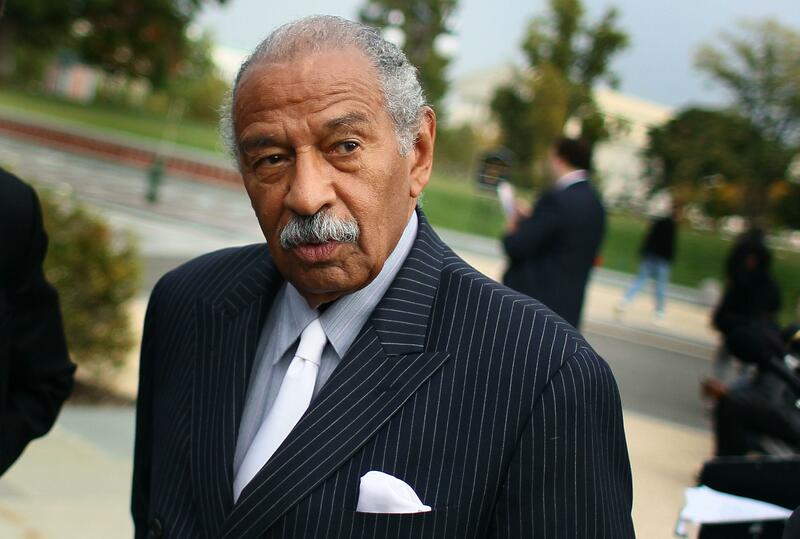 Rep. John Conyers, D-Mich., is behind the bill, so presumably he doesn’t hate it. After the Supreme Court defanged Section 5 of the Voting Rights Act, there was chatter about a congressional effort to fix it. The chatter was easy to dismiss. If a Democratic Congress couldn’t amend campaign finance law after Citizens United, how would a divided Congress fix voting rights, when the concerns of Republicans (stop voter fraud!) and Democrats (stop the fake war on voter fraud aimed at disenfranchising people!) are at odds completely? Dismissals officially canceled. Reps. James Sensenbrenner, R-Wis. and John Conyers, D-Mich., have released the Voting Rights Act Amendment of 2014, watered down just enough to win over Republican support. “We look forward to reviewing it,” said House Majority Leader Eric Cantor’s spokesman Doug Heye of the new legislation. That’s not a no! States with five violations of federal law to their voting changes over the past fifteen years will have to submit future election changes for federal approval. This new formula would currently apply to Georgia, Louisiana, Mississippi and Texas. Local jurisdictions would be covered if they commit three or more violations or have one violation and “persistent, extremely low minority turnout” over the past fifteen years. North Carolina, that bête noire of liberal voting rights campaigners, would be exempted. One reason: Voter ID laws would not count as “violations.” They would be subject in states that have been subject to pre-clearance for other reasons, but going forward, jamming through a new ID bill would not alert the DOJ. Ian Millhiser suggests that a new legal power created by the bill makes the compromise worthwhile for liberals. The problem with Section 3, however, is that it is widely understood to require the Justice Department to prove that Texas and North Carolina enacted voter suppression laws with theintent of disenfranchising voters because of their race. Proving intent is a challenge in any context — neither judges nor attorneys are mind readers — so DOJ faces a difficult road ahead under current law. The bipartisan bill will strengthen Section 3 so that “any violation of the VRA or federal voting rights law – whether intentional or not – can be grounds for a bail-in.” This is a really big deal. Big enough that it probably justifies paying the high price Cantor and others have demanded in order to revive the Voting Rights Act. And of course the very existence of the bill, the fact that Republicans might see an upside in passing it, is a reward for months of liberal pressure.